A beautiful Masterati on a beautiful day. New Hope never disappoints. 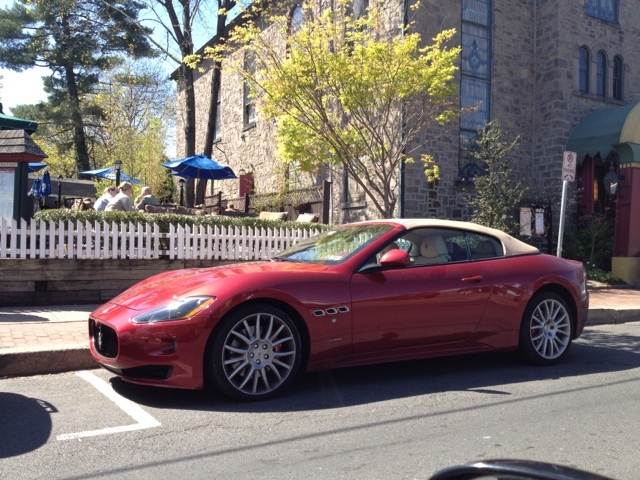 Always wanted a Maser since a spoiled rich kid wrecked one on Cabrillo Boulevard in Santa Barbara in mid to late 1960s. Closest I came was test driving a 1977 Bora in Fort Lauderdale in early 1978. Yea they are glorious cars. I bet that Bora was amazing. Theres something uniquely special about Masers, I just wish they weren’t currently delegated to second best under Ferrari because I would love to see a true V12 GT car from them that would compete with Ferraris. Obviously thats out of the question currently though.